Neonatal jaundice is a common problem among infants immediately after birth. It is the result of the inability of the neonatal liver to clear bilirubin, a breakdown product of blood cells, from the blood. 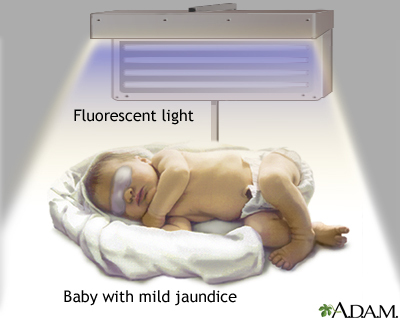 Neonatal jaundice is usually a self-limiting, mild disorder. The most commonly used treatment is fluorescent light exposure, in which the infant is placed under a lamp for a few hours each day. The blue light breaks down bilirubin into a form the infant liver can process and eliminate.